It seems unlikely that such a worthwhile platonic love story could happen on a chilly winter day in Manchester. 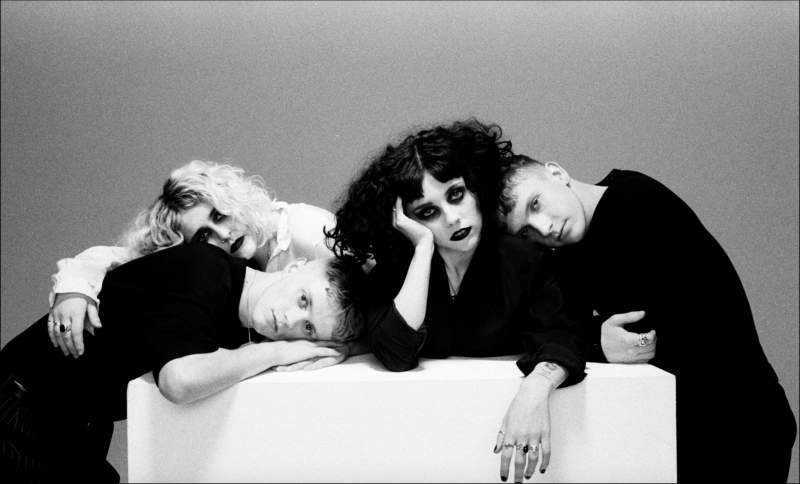 Yet, for Pale Waves, the meeting of Heather Baron-Gracie and Ciara Doran would prove to be a pivotal moment in both of their musical careers. Two years of musical development, and the additions of Hugo Silvani and Charlie Wood, would complete the line-up of this incredible, up-and-coming four-piece. With their own brand of idiosyncratic indie pop well defined, the last four years of hard work culminates in the release of their debut LP, My Mind Makes Noises, this month. The album is typified by There’s A Honey’s hypnotically beautiful Goth pop, with just a smattering of The 1975 via Matt Healy’s touches during production. The band drop into Newcastle’s Boiler Shop on Saturday 22nd September, so those wishing to witness their dark indie pop would be wise to book tickets quick smart.